LGD Ministry new Job Circular 2017 has been found my website All Exam Result BD. This LGD Ministry job vacant is project of Income support Program for the poorest (ISPP) project. LGD Ministry Project job position is as follows Safety net Program Supervisor, Safety net Program Assistant. 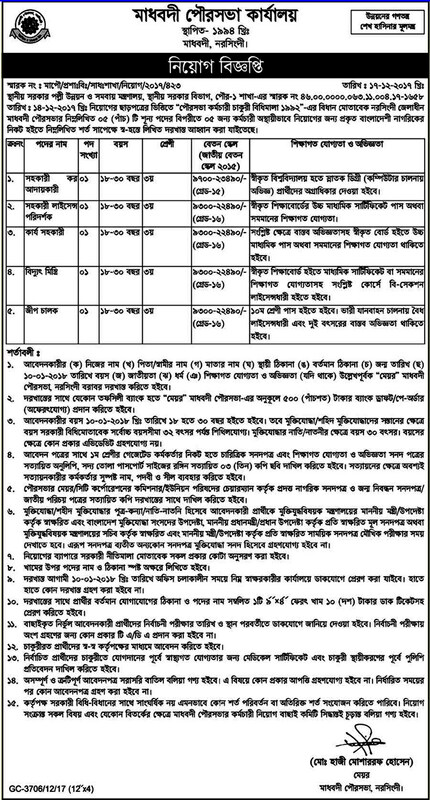 Income support Program for the poorest (ISPP) project job circular application deadline 10th January, 2018. Local Government Division(LGD) job is the very attractive job in Bangladesh. The history of local government division in Bangladesh shows that local bodies have been established at different levels in different periods Ordinances have been made to form local bodies at village, Thana, District and Divisional level from time to time. LGD Ministry Job Circular 2017. ■LGD Ministry Job Title:please See Job Circular below. ■LGD Ministry Job Description: This job position is experience, talented for further review and selection purpose. ■LGD Ministry Job Nature: Full-time government job. ■LGD Ministry Employment Type: Permanent job. ■LGD Ministry Education Qualification: See Job Advertisement. ■LGD Ministry Job Experience: See Job Advertisement. ■ Compensation and Benefit:Please See Job picture Below. ■LGD Ministry Age Limit: 25-45 years old.